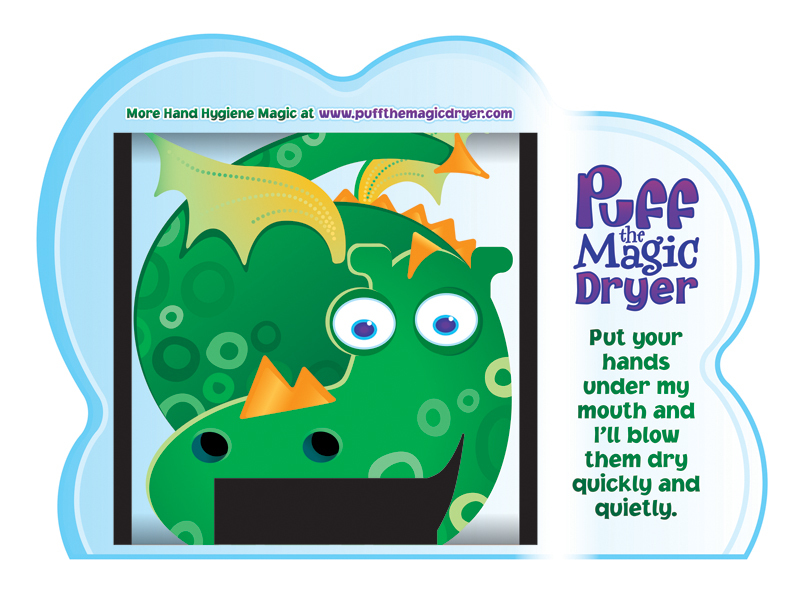 This is a visual of Puff the Magic Dryer, the dragon dryer. I created the character illustration, have done all the design work. It’s been a bit of a hybrid illustration-design-branding project. Puff dryers are now installed at the Dundee Science Centre, and went down well at the international toy fair in Germany earlier this month with interest from the USA, Australia and Belgium companies. The dryers can be bought from UK distributors ToyGuard.